The election of Donald J. Trump as America’s 45th president was not only an irredeemable defeat for the political establishment in the U.S. in general, and Democratic nominee Hillary Clinton in particular. It represented a seismic shock for the nation’s mainstream news media. Never before had American journalism, in print and on-air, been so invested in confidently, even boastfully, predicting the impossibility of one of the two major contenders for president winning the White House. And never before has the hubris and complacency of the establishment media been do devastatingly shattered. If “liberal media bias” is responsible for a lousy job by journalists covering the 2016 presidential campaign, then how does one explain the fact that Fox News, a paragon of mainstream conservative journalism , hosted many talking heads who told the American electorate that Donald Trump could not win, even in the early evening of November 8, 2016, when the first election results filtered into the newsrooms? Then there is the example of ultra-liberal, progressive and leftist documentary film maker Michael Moore. Three months before the votes were counted, Moore penned a prescient piece on his website entitled, “5 Reasons Why Trump Will Win (http://michaelmoore.com/trumpwillwin/). The film maker made no bones about his deep contempt for Trump. Yet, when it came to analyzing the dynamics of the 2016 presidential election, Moore had the intellectual integrity to put aside his personal bias, and judge the likely outcome on an objective analysis of facts he knew through deep connection with many of the voting constituencies that would prove pivotal for Trump’s electoral triumph. His most emphatic prediction was that Trump would win the rustbelt states of Michigan, Ohio, Wisconsin and Pennsylvania, giving him the presidency. And that is exactly what happened. So, ideology would not appear to have been a decisive factor in explaining why the media got the election so wrong. These are the three primary reasons I believe explain why America’s major news organizations failed to adequately cover the major news story of 2016; Donald Trump’s presidential campaign. The traditional separation between news reporting and editorializing broke down. For generations, the power of American journalism has been objectivity, with news coverage being uninfluenced by the editorial posture of a newspaper, radio or television network. This Chinese Wall that underpinned the traditional integrity of news coverage and separated the straight news department from the editorial side of a news organization largely vanished in 2016. Much of what was passed on to the public as straight news coverage of the Trump campaign could have been composed by the editorial department, and had the character of political propaganda, often indistinguishable from the musings of Trump’s GOP and Democratic opponents. While it was certainly within the purview of editorial writers to express critical views of Donald Trump, when supposed journalists composed similar views in the guise of news, it short-circuited their ability to understand the revolution in political affairs that was sweeping America in 2016. It is ironic that Donald Trump and Michael Moore understood this dynamic, while the men and women whose profession it is to report and explain such phenomena almost entirely missed it. Journalists suffered from a failure of imagination. Clearly, America’s political establishment – Republican and Democratic – failed to understand the internal forces at work in American society that paved the way for a President Trump. However, too many political journalists relied on sources within this same myopic establishment. This meant that often their perspective was undifferentiated from that of the traditional political establishment in the United States. By being embedded with the political establishment, many journalists assigned to cover the presidential election were constricted in their ability to look beyond conventional norms for conducting a successful presidential campaign. The dismissive tone towards Trump’s unconventional and unprecedented presidential campaign reflects this failure of imagination. This resulted in journalistic myopia, manifested in news coverage that grossly underestimated the impact and effectiveness of the Donald J. Trump For President campaign. American news organizations did not comprehend the power of celebrity and social media in shaping the presidential campaign . There was much reporting in the final weeks of the presidential campaign on the superiority of Hillary Clinton’s ground game, traditional media advertising and the overall imposing strength of her campaign infrastructure. The word coming out of news organizations in America was not only that the Democratic nominee was ahead in the polls; her powerful ground operation would guarantee a strong voter turnout, while the supposedly all-but-invisible Trump ground effort meant all he could rely on were campaign rallies, which many in the media suggested, based on historical precedent, would almost certainly prove inferior in generating voter turnout. What American journalists did not get was that celebrity branding, just as in the consumer marketplace, has increasingly been the most decisive factor in the nation’s political campaigning. Not only did Donald Trump have perhaps the most powerful celebrity brand in America; its fusion with an array of social media platforms enabled the candidate to build an unprecedented level of interconnection with potentially tens of millions of voters, bypassing the need for a conventional campaign infrastructure, traditional advertising and even a reliance on favorable news coverage by the mass media. For the most part, the nation’s journalists were largely ignorant of these tectonic shifts occurring within the presidential campaign landscape. Come January 20, 2017, Donald Trump will be inaugurated as the 45th president of the United States. Incisive, accurate and thoughtful reporting on the incoming Trump administration will be crucial for the American people. However, such a level of journalistic quality will only occur if the news organizations of America demonstrate humility, recognize the many failures and inadequacies in the manner in which they covered the 2016 presidential election, and earnestly learn and apply the lessons that are so clearly manifested. Failure to do will reduce their role to irrelevancy among a large part of the American people, as the era of Trump is upon us. When Donald Trump first announced his candidacy for president of the United States in the 2016 general election, he was immediately dismissed by political pundits and media commentators as a publicity-seeking billionaire, with no chance of ever entering the White House as the nation’s chief executive. The summer of 2015, which would become known as the “Summer of Trump,” would prove them all wrong. With the slogan MAKE AMERICA GREAT AGAIN and urging voters to board the TRUMP TRAIN, real estate mogul would quickly emerge as the GOP frontrunner, sowing panic in the ranks of the Republican Party. establishment. Why did the media experts and political consultants fail so conspicuously in reading the political landscape in America? How was Donald Trump able to connect so effectively with a large part of the electorate? Can Trump win the Republican Party’s presidential nomination, and prevail in the general election? If Donald Trump is elected America’s 45th president, can he implement his agenda, and how effective a president would he be? DONALD TRUMP 2016: America’s Next President? 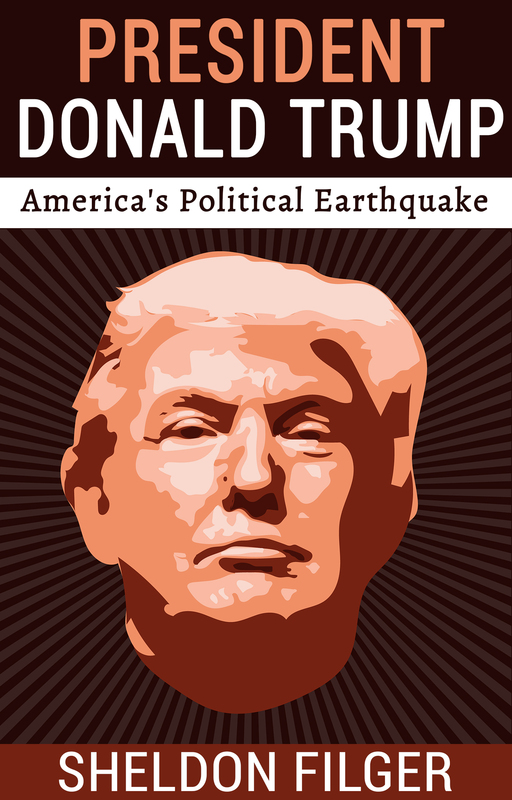 offers an objective look at the state of American presidential politics and Donald Trump ‪ the candidate. Sheldon Filger provides a fresh perspective on the Trump presidential campaign, avoiding the partisan stereotypes that typically dominate any discussion of Trump ‪and the 2016 presidential election. The author presents the case that America is undergoing a radical revolution in political affairs, and the Trump phenomenon is an inseparable outcome stemming from the growing alienation and disaffection Americans harbor toward the nation’s political elites. In his analysis of Donald Trump and the 2016 presidential election, Sheldon Filger provides the reader with an opportunity to view the real estate mogul’s ascent in political viability within a broader context of national malaise, and crisis within the body politic. 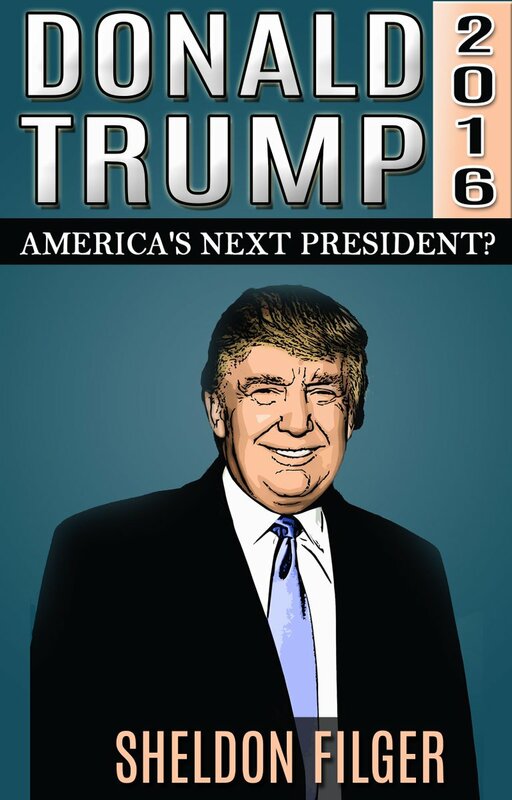 DONALD TRUMP 2016:America’s Next President? not only explores the vices and virtues of the celebrity candidate running for president; the book is also an indictment of a political culture that across the land, but especially in Washington DC, has evolved into a dysfunctional failure. 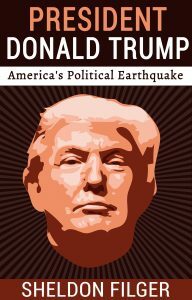 My new book, DONALD TRUMP 2016, is available on Amazon.com as a Kindle eBook. Trump has emerged as the Republican frontrunner in the 2016 presidential race. A major component of the billionaire entrepreneur’s platform is revitalizing the American economy. Head of the International Monetary Fund, Dominique Strauss-Kahn, Arrested In New York City! Does the Islamic State (aka ISIS and ISIL)Pose A Threat To America?